During his lifetime, Theodor Herzl was called everything from a hero, to a dreamer, to a heretic. But his influence on the Jewish people is undeniable. Known as the father of modern Zionism, Herzl spent his life trying to find a way to end anti-Semitism and create a Jewish state. In the mid-nineteenth century, Palestine was marked by disease, poverty and despair. But that all changed when Jewish pioneers legally purchased, settled and developed the land of Israel. Spearheading the effort were the KKL-JNF (Jewish National Fund) and wealthy Jewish philanthropists from Europe, Sir Moses Montefiore and Baron Edmond De Rothschild. A chemist by trade, Chaim Weizmann eventually became Israel's first international diplomat and Israel’s first President in 1948. Weizmann worked diligently to secure the United Kingdom’s support of the establishment of a national home for the Jewish people in Palestine. He met with U.S. President Harry Truman to help secure American support for the new State of Israel. Israel's founder and first Prime Minister, David Ben-Gurion, learned the stories of the Bible as a child at his grandfather's knee; this love for the Bible would shape Ben-Gurion's views throughout his life. From studying Hebrew to farming early Jewish settlements to building a government, Ben-Gurion dedicated his life to an independent Jewish state. Golda Meir went from being a schoolteacher in Wisconsin to the first female Prime Minister of Israel. Before Israel's independence, she was a key member of the Jewish leadership who negotiated the release of Holocaust orphans from British detention camps, held secret negotiations with Jordan's King Abdullah and raised $50 million to buy weapons for the Israeli army. Did you know that it took just 32 minutes to restore independence to a people who had been without a country for 2,000 years? 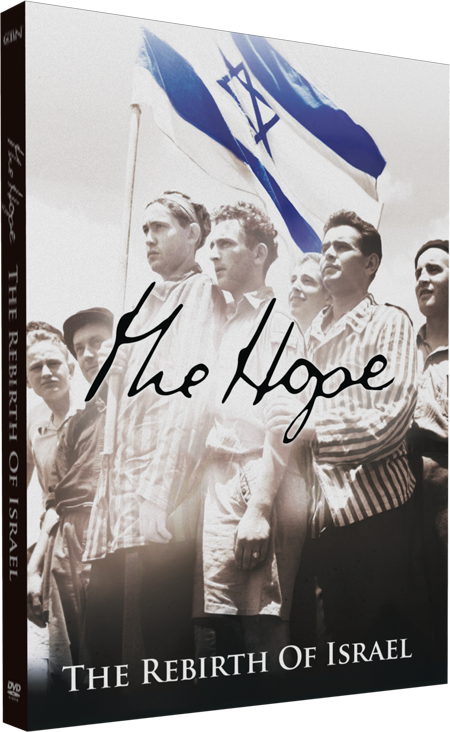 “Independence Day” is a close-up look at the little-known events that took place on the day the Jewish State of Israel was born -- May 14, 1948. As a young man, Eliezer Ben-Yehuda had a vision. He believed he was to be the driving force behind the revival of Hebrew as a spoken language and bring it back to the land of his forefathers. Most people know Winston Churchill as the “British Bulldog,” the Prime Minister who led Great Britain to victory in World War II. But a lesser-known story is one of Churchill, the lifelong friend of the Jewish people and one of the key players in the creation of the State of Israel.